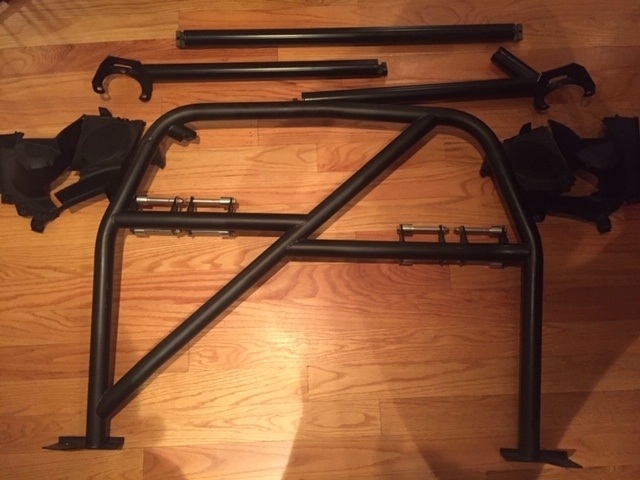 Hergesheimer roll bar for Porsche 987. Bolt in. Driver harness bar lowered for proper belt angle with Raceseat. Also comes with trimmed rear shock covers in black.